When you live in any major metropolis (i.e., NYC, Philadelphia, Newark, etc. ), traffic is almost always something to contend with. It’s just an accepted way of life if you enjoy driving. Today’s post is specifically about school buses in New Jersey. Most commuters or residents know exactly what “rush hour” is on the roads in NJ. Typically the morning and evening commute, when roads have a heavy volume of traffic. One minor mishap (accident, construction), quickly amplifies the problem and results in the stereotypical “traffic jam.” Those tie-ups aren’t as likely during non-rush hour times because of much less volume (unless an entire highway is closed for a very bad accident). Are you aware that there is another kind of traffic situation that people outside of major cities actually have to contend with? If you get stuck behind a bus on a one lane road – be prepared to double your trip time. 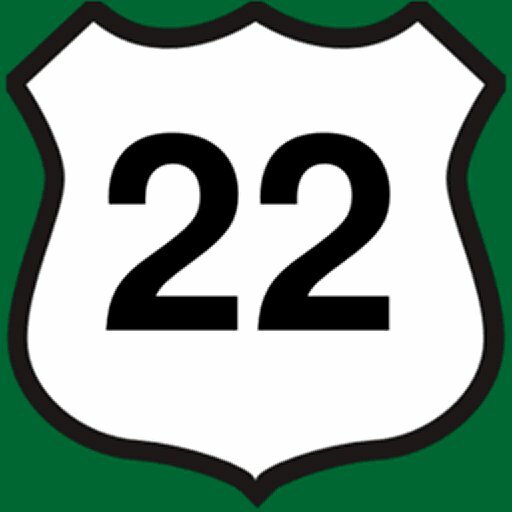 I’ve even seen cars come to a complete stop ON ROUTE 22 – On the opposite side of the road! Never in my life have I seen something so outrageously unnecessary. Do you find anything interesting about this law? The punishment for violating this law is stiff. $100 first offense, $250 subsequent offenses. And up to 15 days behind bars! All violations add FIVE points to your license, and undoubtedly tens of thousands of future dollars for mandatory insurance. Note that 414 kids were killed nationwide – in the last 32 years. About one per month – across the entire nation of 325 million people. STAIRS caused 932,000 injuries to children in just a 10 year period alone. Like we said above – I’ve seen cars come to complete stops on the opposite side of Route 22 in the past. Which is not necessary according to that graphic above. But what they do implore you to do is to slow down to 10 MPH on the opposite side of a divided highway. What? Why? Kids aren’t allowed to cross the highway to begin with, why would cars be required to slow down? We think it’s just another mechanism to extract money (i.e., hidden taxes) from unsuspecting residents and visitors. Too many laws. When we grew up – we had BUS STOPS for school buses. Usually some street corner. Kids all from around the neighborhood gathered and waited. Same held true for getting dropped off. Today, it’s almost door to door service, along with all the super-duper safety. And yes – we want nothing more than for all our kids to be safe and sound. However, that is more of a mindset – and should be taught at home – from a very early age. For children to be self-sufficient, aware, and observant. And to NEVER rely wholly on someone or something else to keep them safe. Even with “laws” and flashing lights – there is always SOME risk almost anywhere inside or out. Fallen trees. Electricity. Animals. And even stairs as we mentioned above. Accidents happen all the time – even when you think all your bases are covered. For all you worry-worts – who constantly clamor about the so-called risks (cue “Debby Downer” if you need to see my point better…), you’re never truly 100% safe from harm. What if you were in a grassy field – and an airplane just crashed on you? Or a meteor came screaming down on you? You’re never totally free from the bad things that *can* happen to you! I’d much rather have strong, independent kids – than weak, needy ones. So hopefully we’re not the only people out there that kind of shake our heads each time we hear others clamoring about “safety for the kids.” Try your best, is our advice. Remember, they’re using that fear and safety schtick as ways to just control people and rob them.